Mrs Tracy Bell Chair of Governors My name is Tracy Bell and I am Chair of the Governing Body at Bournmoor Primary School. I originally started as a parent governor when my child was five, eleven years ago. I have endeavoured to provide support and challenge to Bournmoor Primary over this past decade. I take my role as chair very seriously and have worked very hard to reach this position. I am also on the Finance Committee and together we make decisions to continue school improvement, for example the recent addition of improved school fencing and additional classroom space. My role involves dealing with all aspects of the running of the school and ensuring safety standards are maintained for all pupils as well as my focus on pupil attainment. I am married and have one daughter. We live locally and have been part of the community for the past twenty years. I am self-employed which allows me the free time to come into school to monitor and discuss school issues. Mrs Karin Laybourne Vice Chair of Governors I joined the Governing Body in 2016. I have one child who is currently in Key Stage 1. As a parent governor, I work with the headteacher and governors to make strategic decisions, which contribute to the continuous improvement of the school. I am a member of the Finance Committee and Curriculum and Standards Committee and have recently become the Link Governor for special educational needs and disabilities (SEND). I enjoy contributing new ideas, and supporting the school in trying out new initiatives. I also work carefully with other governors to provide an assurance role in setting budgets, monitoring expenditure and the school’s performance as well as helping to decide how the school’s budget is best spent. I have a great appreciation of the hard work of the children and teachers and do all I can to learn more about the education system to ensure that all pupils have the best opportunity to reach their full potential. In my working life, I am a Corporate Business Manager in Durham County Council, where I manage complex strategic projects and work to deliver aspects of the authority’s transformation programme. I have experience in the voluntary, public and private sectors, to include regeneration, town and country planning, sustainability, waste and energy management, countryside management, environmental education and business development. I am married and love spending time with my family and friends, as well as walking, running, Zumba and gardening (when I can!) and have a keen interest in wildlife and our local environment. Mrs Laura Snowdon Headteacher I first joined Bournmoor Primary School in September 2011 when I was appointed as Deputy Headteacher. In 2013 I was appointed as Headteacher, a role I am proud to undertake within the local community. I enjoy the challenge of being headteacher as no two days are the same and I very much appreciate the daily interaction with parents, staff and pupils. Together with the governors, I have strived to make many school improvements since my headship began. These are driven through pupil discussion as I am keen to give children a voice e.g. through School Council and Rights Respecting Champions. The addition of new play equipment and an outdoor stage has been through listening and taking views of all concerned to get such a great end result i.e. through our Friends of Bournmoor and listening to what the children want. I am married and have two sons. My youngest son is at primary school and my eldest is at university so I am still actively involved in the education system as a parent. I work closely with our governing body to ensure that we constantly strive to get the best outcomes for children. I believe that education gives you choices and I work to ensure that all our pupils are given a range of opportunities to help them become confident young people. Dr Mike Leddra Community Governor My name is Dr Mike Leddra. Before I retired in 2017, I spent 10 years as the STEM Enrichment and Enhancement Coordinator for Durham and the Tees Valley as part of the national STEMNET initiative. My role was to encourage schools to engage with industry and other educators to encourage their pupils (KS2-KS5) to achieve their full potential, particularly with regard to the STEM subjects. I also organised and led geography and earth science fieldtrips and lessons for primary and secondary schools across our area. Prior to that, I was a Senior Lecturer in Geology and the University of Sunderland for 15 years. During my time at Sunderland, I also spent five years working on a number of widening participation initiatives, which included helping to develop and lead the universities Bright Sparks, schools science club and then I had a major input into developing their Junior Bright Sparks club, which was specifically designed for primary school children. I also undertook and passed my QTS so that I could better understand the needs and demands of teachers and pupils in order to make my work with schools as useful as possible. Before going to university, I spent seven years working as a cartographer at, what was then Department of Energy in London. Back to more recent past, as part of my STEM role I was, and am a STEM Ambassador – a volunteer who works in schools to encourage children and young people to follow the STEM subjects. In the last four years, I have really enjoyed delivering lessons in earth science and history at Bournmoor Primary school and so was delighted to be invited to become a Community Governor at the school. Miss Emily Pigg Staff Governor I joined Bournmoor Primary School in September 2017 when I was appointed as the Early Years Teacher. Teaching is a vocation that I have a great passion for and desired to become from a very young age. One of my roles at Bournmoor has been to lead the journey of our Governor-led Nursery which was established in September 2017. 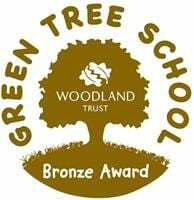 I am incredibly proud to have led the team through this journey, providing children with a nurturing environment and the highest quality of education in their earliest years, laying firm foundations in order to best prepare them for their school life. Alongside my role as a teacher, I lead various subjects within the school including RE, PSHE and Computing. I have also recently taken on the role of leading the School Council; a group which I feel is imperative to school improvement as it allows the children to have their voices heard and make decisions to lead the school forward. I feel privileged to have been elected as the Staff Governor and am committed to giving the role one hundred percent in order to ensure the best possible outcome for the school and its pupils. Mrs Lynda Carr Community Governor I was delighted, in July 2016, to be invited to become a Community Governor at Bournmoor Primary School. My professional background is in primary education, having spent 30 years + in teaching, management and leadership roles across the whole primary age range, within a variety of social, educational and geographical contexts at school and Local Authority level. My current role involves me working across the NE region, in schools of all phases, to make and verify school based judgements, based on actual and documentary evidence, against national standards. I am committed to continuous improvement within school and my experience has taught me the value of teamwork and team building in making things better. I would like to think that the skills I have developed can contribute to the current good work of the Governing Body. I look forward to working with the headteacher and staff, alongside the local community, in aiming to make Bournmoor Primary School an outstanding place of teaching and learning for all concerned. Miss Michaela King Parent Governor My daughter has attended Bournmoor Primary School since 2011 and I have very much enjoyed being part of the school community with her. I was delighted to be elected as Governor in 2015 and enjoy the challenge of the role. I welcome the opportunity to work with a number of very dedicated individuals at the school and use my skills and experience to represent the views of parents. As a senior manager of a private training organisation delivering apprenticeships to students in post 14 education and with over 25 years early years experience, I am able to use my skills and knowledge in supporting the school to provide the best possible opportunities and experiences for all our children and to ensure they achieve to their full potential. Cllr Audrey Willis Local Authority Governor My name is Audrey Willis and I am the local councillor for Lumley Division (Lumley, Bournmoor and Woodstone Village). My work as a local councillor involves helping members of the community in a variety of ways. I am also a member of three local school governing bodies so I have extensive experience of school governance. I enjoy working with local schools and have particularly enjoyed my journey with Bournmoor Primary School. During my time as school governor there have been many positive changes that I have been part of. For example, I was on the interview panel for the current Headteacher and Deputy Headteacher and have enjoyed working with them on school improvements. 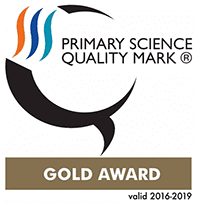 In my role as Science governor I was proud to be part of the successful application for our Primary Science Quality Mark Gold award. I continue to support in this area through Science monitoring and close working with the Science co-ordinator. Mr Oliver Seaton Co-opted Governor I joined Bournmoor Primary School in September 2015 as Year 4 class teacher and have experience teaching across both Key Stage One and Key Stage Two. Prior to starting my career as a teacher I worked as a data analyst, harnessing skills that have become extremely useful in my current role. Throughout my time at Bournmoor Primary, I have been given various opportunities to develop both my professional experience and the opportunities on offer for children throughout the school. I have worked with local clubs and leagues to offer competitive sport in the form of Football and Netball teams which continues to raise the profile of the school within the local community. Currently, I lead Maths, Science and P.E across the school and feel exceptionally privileged to take on the responsibility of governor. I hold a particularly keen interest in anything STEM (Science, Technology, Engineering and Maths) related and lead teams for both the school robotics and electric race car. As a governor, and Deputy Headteacher, I hope to utilise my professional experience to assist in moving the school forward, initiating change and consistently monitoring progress to ensure the best possible outcomes for both the children and school as a whole. Mrs Emma Todd Parent Governor I joined Bournmoor Primary Governing Body in January 2019. I have two children currently in attendance at Bournmoor Primary and I’m passionate about the learning journey my children and all pupils experience. I am committed to working together with the Head Teacher, Governors, parents and pupils to support and challenge decisions which can impact on this journey. I am currently completing a BA Hons in Social Work and working as a family practitioner to support children and families within the Newcastle area. I am looking forward to the challenge being part of the Governing Body will bring in order to support the continued development and overall positive outcomes for pupils. Mrs Rachel Andrews Parent Governor I joined the governing body in January 2019. I am looking forward to working with the school governors, parents and pupils to help to support the development and leadership of the school. I have a background in Higher Education in a Quality Assurance role after working at the University of Sunderland for 11 years, which involved supporting institutional audits, the development and review of programmes, student appeals and extenuating circumstances, and improving the student experience. I also do volunteer work at the Washington Riding Centre for the disabled. I hope to be able to utilise my skills and experience to support the school in achieving the best outcomes for the pupils. Bournmoor Primary School adhere to the statutory guidance from the Department of Education. This means that governing bodies must have regard to it when carrying out duties relating to the constitution of governing bodies in maintained schools. ‘Governance is effective. Governors are very clear about the future direction of the school and the need to build on the improvements which have already been made. They know the school well as a result of regular focused visits and the comprehensive information they receive from the headteacher. Consequently, they use their knowledge about performance and the quality of teaching to offer appropriate challenge when they have concerns, such as the need to address the decline that occurred in standards in mathematics in 2014. Funding is used well to bring about improvements in the school. Additional funding to support disadvantaged pupils has been invested in employing extra teachers so that the curriculum could be reorganised to avoid any repetition and to provide targeted support to pupils where needed. As a result disadvantaged pupils are reaching higher standards than in the past, which are now closer to the national average. Schools are required to display a record of Governor attendance at meetings for each school academic year. Where the cumulative effect of multiple virements on the same budget heading exceeds this limit, details are to be reported to the next Finance and Premises Committee meeting for information and retrospective approval. DISQUALIFICATIONS: Headteacher; Chair of Governors (if have prior knowledge); any Governor involved in the original hearing; where there may be a conflict of interest; any Governor whose spouse/partner is involved; staff (appeals in relation to salary or staffing reduction decisions). DISQUALIFICATIONS: where there may be a conflict of or pecuniary interest; any Governor whose spouse/partner is involved; prior knowledge; any Governor whose child is involved. Headteacher to a committee of the Governing Body in matters of discipline and/or capability, redundancy and ill-health.